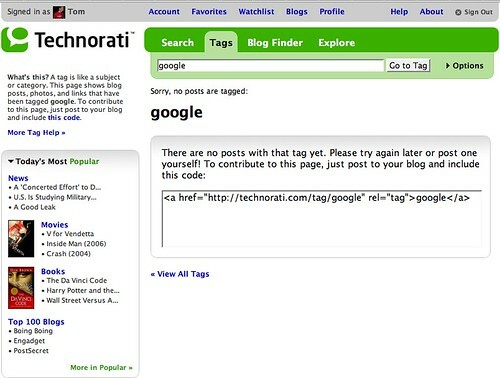 I began to suspect there Technorati may be having some technical issues! I got an email this morning from a Tom Atkins. Tom had read about my various issues with FeedLounge and trying to sort out an online RSS Feed aggregator so I can keep my feeds synched across computers. Tom suggested I have a look at an online RSS Feeds aggregator called Gregarius and I did and I have to say I am impressed with it! Gregarius is designed to run on your web server, allowing you to access your feeds from wherever you want. It is free, open source, web standards compliant (renders XHTML/CSS), supports OPML, has tagging, full text search and is full of AJAXy goodness(! ).